Just when I think there couldn’t possibly be another new innovative snack on the market, along comes a simple and delicious treat that combines two mainstream products (rice and dark chocolate) to form a unique incredibly scrumptious confection: the Dark Chocolate Rice Cake. There really isn’t anything else like it on the market. Made in Italy under strict European Union regulations, Element Dark Chocolate Rice Cakes are made with organic whole grain brown rice, organic white rice and dark chocolate (sugar, cocoa mass, cocoa butter, soy lecithin, and vanillin). 60% of the rice cake is dark chocolate while the remaining 40% is the rice cake so there is no shortage of the rich taste of dark chocolate that we all love. 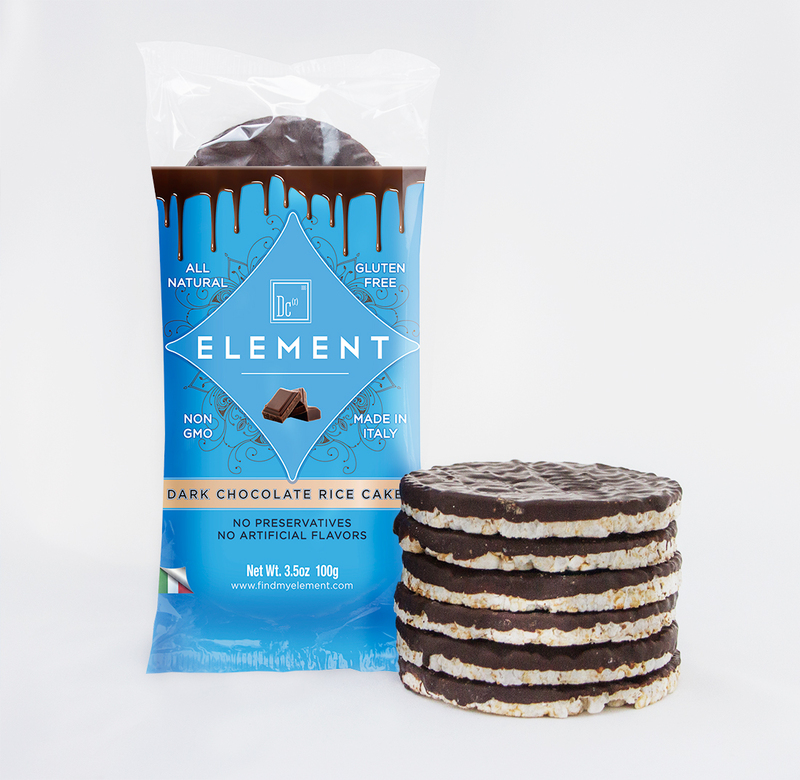 Crunchy and slightly sweet, the Element Dark Chocolate Rice Cake is a perfect snack with only 80 calories and 5 grams of sugar per large rice cake. 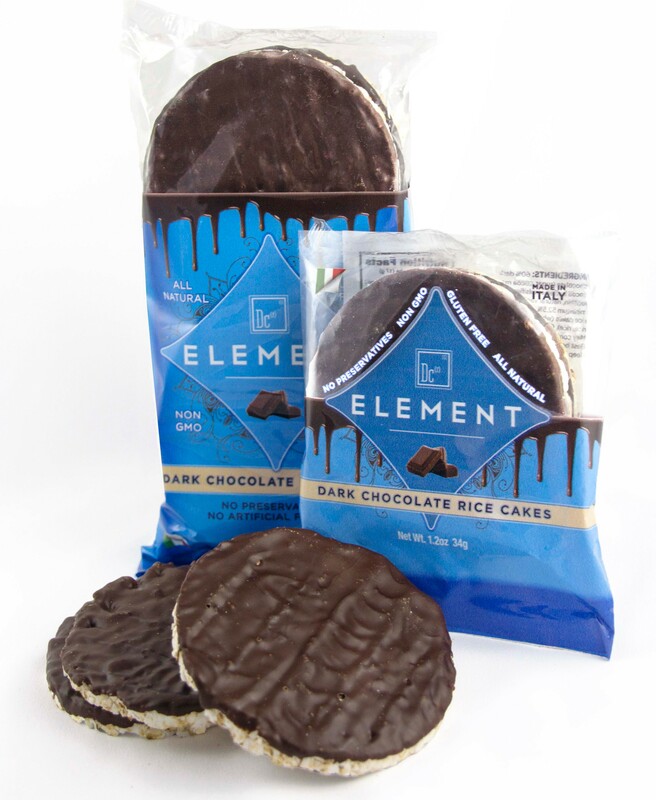 To purchase Element Dark Chocolate Rice Cakes, go the company website: www.elementsnacks.com or www.amazon.com. The rice cakes come in packages containing six rice cakes with 6 packages (36 rice cakes) selling for $27 and 12 packages (72 rice cakes) priced at $54. The company also sells a box of 20 2-packs (40 cakes) for $44 which are very convenient for snacks on the go. Just slip a 2-pack into a backpack, lunchbox, or handbag to enjoy later in the day. Shipping is free for all orders $100 and over. 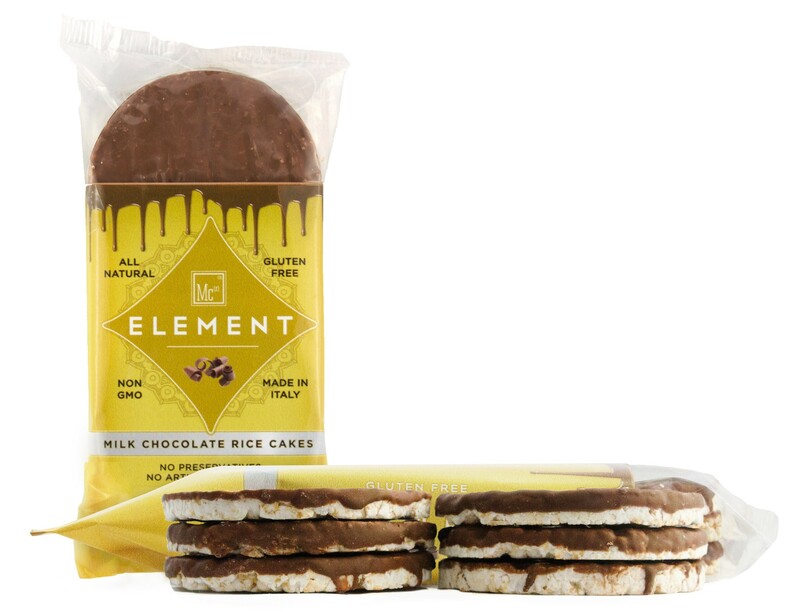 The rice cakes are also sold in select stores throughout the New York City Metro area (see the company website – www.elementsnacks.com for locations), New England, Maryland, and South Florida. In February, distribution will expand throughout New York, New Jersey, and the mid-Atlantic States, so check the website for location updates. For those who don’t enjoy dark chocolate, the company also makes a wide variety of other products including Milk Chocolate Rice Cakes (pictured above) and Mini Rice Cakes, Sweet Orange Rice Cakes, and Strawberries n’Cream Rice Cakes. Dark Chocolate Corn Cakes and Mini Corn Cakes are also offered for those who prefer corn over rice. See the company website (www.findmyelement.com) for complete details. I concur that the combination makes for a delicious and healthy though moorish treat! Yes…I’ve had Kallo’s rice cakes in England where they seem to be widely available in the supermarkets. In the US, Kallo rice cakes are very difficult to find and not nationally or regionally distributed.